A very special presentation for a very special car. 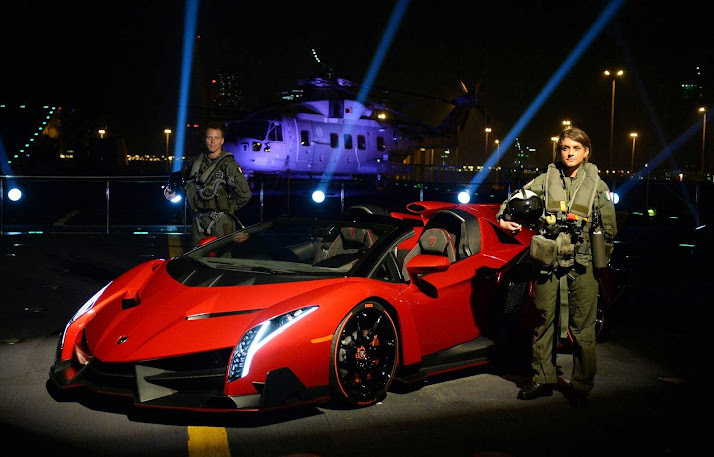 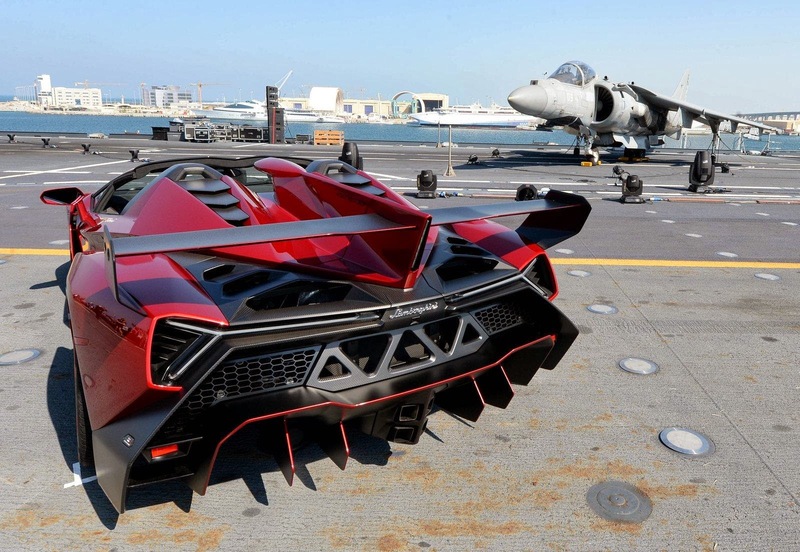 This red Lamborghini Veneno Roadster was transported to the UAE in an Italian aircraft carrier to attend a special presentation event in the land of supercars. 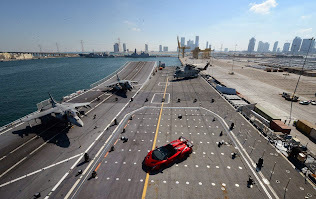 The result is a set of stunning shots that you can see in the gallery below. As a refresher, the Lamborghini Veneno Roadster is powered by a modified version of the Aventador's 6.5-liter V12 engine that produces 750 Hp and sends power to all four wheels. This allows the roadster to sprint from 0 to 100 km/h (62 mph) in 2.9 seconds and hit a top speed of 355 Km/h (220 mph) thanks in part to its low weight of 1,490 kg (3,278 pounds). 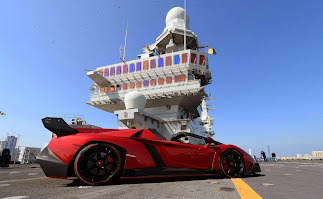 The costs $4.5million (that's $600k more than the more exclusive coupé version) and only nine units will be produced.